Opening hours: Shops are generally open Mon - Sat 8am - 9pm. Banks are generally open Mon - Fri 9.30am - 5pm except on public and bank holidays. 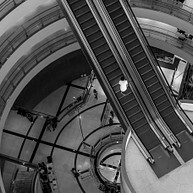 Banks located in major shopping malls are generally open Mon - Sun, 7 days a week, 10am - 7pm. 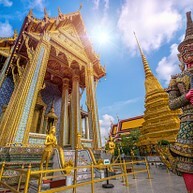 Home to the famous Emerald Buddha, the most revered Buddha image in Thailand, the Grand Palace is a spiritual hub and glorious architectural feat. Get in early to bypass the bustle and crowds, and remember to show respect by wearing long pants – no shorts allowed! 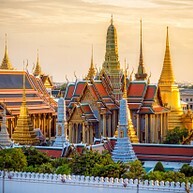 Directly adjacent the Grand Palace, Wat Phra Kaew is known as the Temple of the Emerald Buddha and is the most sacred Buddhist temple in the country. It houses the magnificent statue of the Emerald Buddha, carved from a single piece of jade. 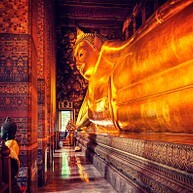 Directly adjacent to the Grand Palace, Wat Pho is known as the Temple of the Reclining Buddha, the largest reclining image of Buddha in the nation, at an impressive 46 metres long and 15 metres high. It is adorned with mother of pearl and gold plating. Not limited to the one attraction, Wat Pho temple is home to over 1,000 images of the Buddha, towering statues, buildings and stupas. It is also home to the renowned Thai massage school for monks, and visitors can have this exceptional service on the grounds. Named after the Indian God Aruna. Take in the majestic white porcelain spires of the iconic 19th-century ‘Temple of Dawn.’ Linger in mythical gardens, climb the steep white stairs and soak up the romantic views at sunset. Take a taxi or a river ferry at Tha Tien Pier on Thai Wang Road across the Chao Praya River to the Thonburi area. Thailand’s revered King Rama IV built this temple’s large golden chedi atop the ruins of previous temple buildings. The chedi is layered with centuries of gold leaf. Visitors can take the easy winding stairs that encircle the mount to the viewpoint at the top. A small entrance fee allows you to enter the terrace and the temple area where you will have a 360-degree view of Bangkok. Found in Siam Paragon Mall in the Siam shopping district, Sea Life is Bangkok’s modern, sleek aquarium complex, and the largest aquatic centre in South East Asia. Kids and adults alike will enjoy Ocean World’s 30,000 aquatic creatures from 400 different species. Marvel at this remarkable underwater world and dive with the sharks if you dare! Expansive, lush green Lumphini Park is Bangkok’s green lung – a magnificent sprawling park with gardens, ponds, lawns and stages in the heart of the city bustle. Named after Buddha’s Nepalese birthplace, it is replete with karaoke singers, tai chi artists, joggers and kite flyers. 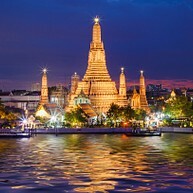 Join the throng and take a break from Bangkok without having to leave the city. 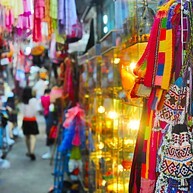 Thailand’s largest weekend market is a shopper’s dream, with locals and tourists hitting Chatuchak’s labyrinthine stalls. Housing more than 10,000 stalls, you will discover amazing prices on silks, handicrafts, clothes, antiques, collectibles and plants, to name a few. Get there early to avoid afternoon crowds and the sweaty hustle and bustle. 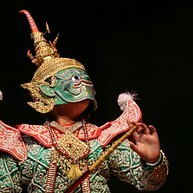 Savour Thailand’s classical masked dance at the Sala Chalermkrung Theatre, regarded as one of the most refined styles of performing art in the world. Once privy only to the royal court of the King, Khon’s masked dance is held every Thursday and Friday evening and is a rare treat for the culturally savvy. 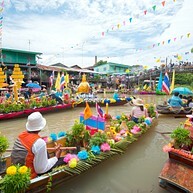 This floating market is truly an impressive sight as vendors on long boats brimming with fruits or brightly coloured trinkets, navigate the ’klong’ (canal) to sell their produce to the tourists and locals standing along the canal’s edge. This world-famous market, from a James Bond movie, is located 80 kilometres outside of Bangkok, but it is certainly worth the journey. Take an organised tour, or a regular bus from the Southern Bus Terminal and see what the hype is all about. Enter a bustling, exciting, vibrant mix of eateries, bars and lines of street stalls selling clothes, jewellery and tantalizing Thailand souvenirs. 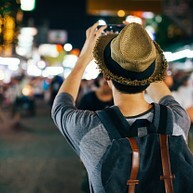 With the rich smoky scents of vendors cooking fresh Pad Thai on the curbside, t-shirt and jewellery stalls decorating the road walkways, and a maze of ferny alleys lined with local and travelling characters, a trip to Bangkok is incomplete without a stroll through its most lively, action-packed area. The area was once the infamous backpackers haunt, but is now a family-friendly area where tourists towing prams and elite Bangkokians come to spend the day. Nightlife here is still robust however, and many are up until dawn enjoying the revelries on this street. The National Science Museum is a great family attraction, a place to learn a little bit more about science, the environment and the world. There are plenty of activities for everyone to participate. The building where the museum is located has been designed and constructed in a remarkable geometry. With 10 zones and over 90 wax figures you will find yourself busy at Madame Tussaud's Wax Museum-Bangkok. 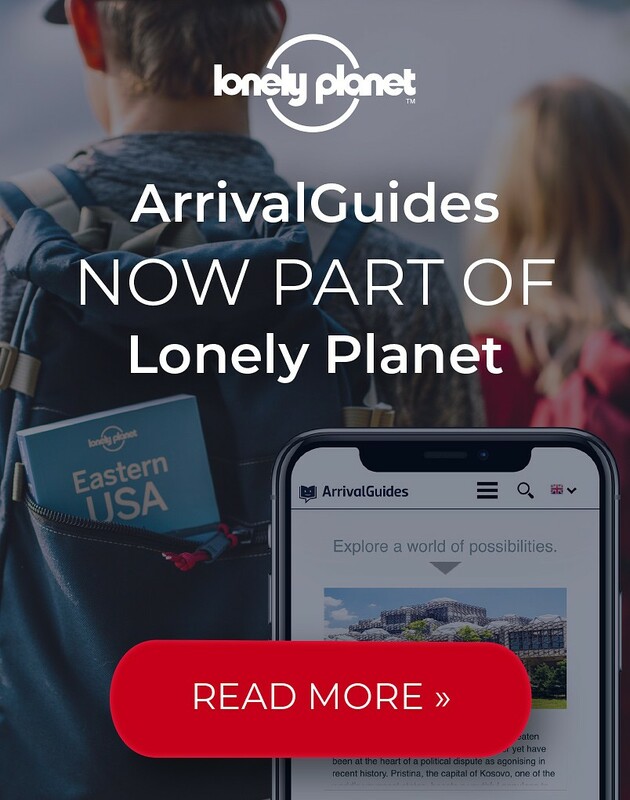 Here you can pose with A-list celebrities such as Brad Pitt and Julia Roberts on the red carpet or hop on stage with your favourite stars such as Lady Gaga and Justin Bieber. This unique museum presents counterfeit goods seized in raids and gives educational tours about intellectual property infringement. This very educational place shows case studies to display the consequences of fake products. Admission is free but you have to book an appointment at least 24 hours in advance. 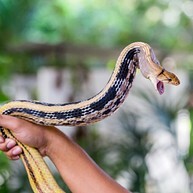 As the name indicates it, the Queen Saovabha Institute Snake Farm welcomes reptiles fan. There are demonstrations on how to handle snakes and how to extract venom. First-aid exhibitions are given to tourists.